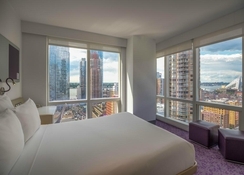 Found near the city’s most famous attractions, Yotel New York offers guests flawless intuitive service, a lively atmosphere and a massive hotel terrace overlooking the splendid New York City. What sets this hotel apart from others is the ingenious design. 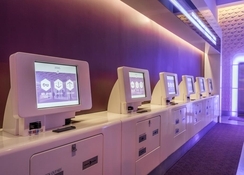 Some of the facilities, which can be enjoyed by the guests include super-fast free Wi-Fi, exclusive access to specially designed bikes, gym, adjustable smart bed, Club @ YOTEL membership, rooftop terrace and much more. Guests staying in the hotel will have numerous things to do and discover, so finding NYC’s legendary landmarks will be a hassle-free task. 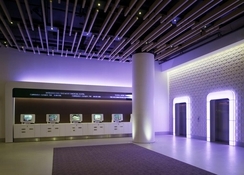 Yotel New York enjoys a convenient location in New York. There are numerous attractions and shopping centres within close proximity to the hotel, some of them include Times Square, Highline, Javits Centre, Empire State, Grand Central Station and many more. Those who want to satisfy their luxury shopping needs will not be disappointed either, as the Shops at Columbus Circle is just a short drive away from the hotel. LaGuardia Airport is about 27.1km from the hotel, making it convenient for guests to board their flights on time. 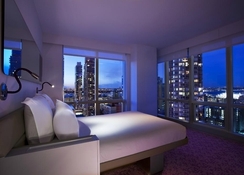 Yotel New York houses luxuriously stunning rooms that have all the things you need when you are away from your home. Room types include Solo, Premium Queen, Premium Queen View, Premium Queen with Bunk, First Class Queen Junior Suite with Two Bunks and Corner Queen. 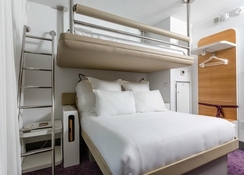 Some of the room amenities include flat screen TV, complementary Wi-Fi connection, double bed, telephone, sofa, 24 hours’ laundry service, comfortable designer mattress and much more. 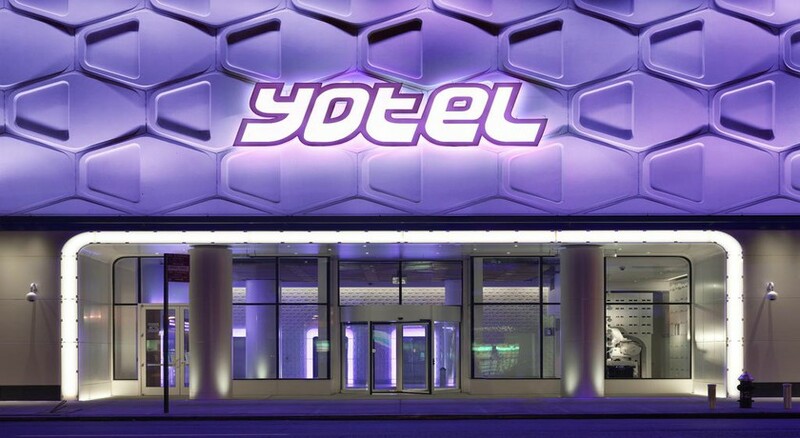 Yotel New York has all that you wish, from lip-smacking dishes to empowering mark beverages, co working lounge and a candle light dinner at the terrace. The Bars and Restaurants within the hotel include Green Fig, The Terrace, Club Lounge and Green Room 42. Or take advantage of the In-room food and beverage service to make yourself comfortable. The hotel has employed friendly, professional and expert staff members who will give you suggestions to choose the best food combinations. There are plenty of sports and entertainment facilities in and around the hotel, which will keep you engaged throughout your stay. Those who want to maintain their fitness level can take advantage of the fully-fledged fitness centre. The meeting and banquet facilities in the hotel will let you conduct social events. Those who are looking for some live sports in action can head to the Yankee Stadium.